Nikki Beckett has returned after she has been presumably missing for six months. She hasn’t been in rehab or away on some drug binge, but in the Everneath where her six months away has been equal to one hundred years. Nikki went to the Everneath with Cole when she believed she had no other options left to her. Unlike every other person who has gone to the Feed, Nikki didn’t fade away. She remembers her life from above, but most importantly, she remembers Jack. She decides to go back to Jack, to try to make amends with her family and say goodbye properly before the Tunnels come for her. That is her destiny, to become a battery to the Everneath or to become an Everliving next to Cole as his queen. Unfortunately, as Cole’s queen, Nikki would have to feed off of people as he does and she refuses to do so. As time progresses she decides that these options don’t suit her and therefore she takes her fate into her own hands. I really enjoyed Everneath, the Hades and Persephone myth has been done a few times and though it is one of my favorite myths I was getting a little sick of it. This book was a different kind of retelling where I didn’t find myself figuring out exactly what was going to happen next. The characters were a good mix of personalities and though I had a hard time accepting some of the behaviors of certain characters I thought they worked well together. I honestly had a very hard time understanding why Nikki was so in love with Jack. They did go a bit into their back-story but it didn’t completely “click” with me, there seemed to be constant doubt on Nikki’s part and considering he was the sole reason she was able to hang on during the feed it seemed a little confusing. 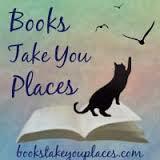 It may be that I am outgrowing the YA romances (gasp!) but I still wanted more from their relationship. 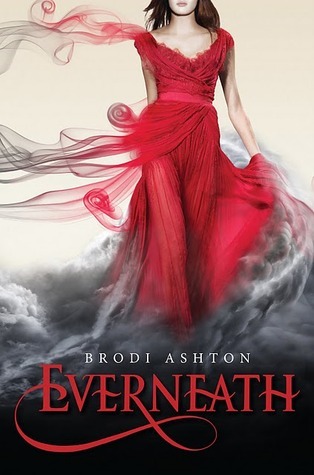 Overall I really liked Everneath, I believe I will continue with the series since the ending of this book was very interesting to me and I recommend it to those who enjoy Greek Mythology and retellings. Originally I was going to recommend it to fans of Goddess Interrupted and Fury but there seems to be a great divide between these fans, as they either love Fury or Everneath. Ironically, I was not particularly a Fury fan, and I enjoyed Everneath very much. This entry was posted in Debut Author Challenge, Reviews, Young-Adult and tagged death, fantasy, Greek mythology, retellings, romance. Bookmark the permalink. Haha, I KNEW you would like this one since you didn't like Fury! My theory continues to prove true. :PI COMPLETELY AGREE about her relationship with Jack. I didn't quite see how THIS was the relationship that got Nikki through 100 years of hell. I was JUST thinking today that I'm over YA romances too. I'm reading the Iron Fey series, and almost put it down today because I just couldn't take the romance anymore. I really just can't care about so many of them. I need more slow burns like Grave Mercy and the Jessica Darling series.